SHELBY — Crestline opened sectional tournament play Tuesday with a 49-27 win over Mansfield Christian. It was the third win this season for the Lady Bulldogs vs. Christian. Tuesday’s win also snapped a streak of Crestline tournament loses that extended back seven years. After the first quarter of play, the two squads were locked up at eight points apiece. However, Crestline held the Flames to just four points in the second quarter while pouring in 13 of their own to take the 21-12 advantage into halftime. In the second half, the ‘Dogs would pile on the offense while remaining tough on the defensive end of the court. The third quarter saw a 15-5 score in favor of Crestline, putting Mansfield Christian down 36-17 heading into the final frame. In that final eight minutes, the Lady Flames were able to finally put up double digits in a quarter (10) but the Bulldogs would put up 13 additional points of their own to distance themselves further from the competition en route to the 22-point victory. Lauryn Tadda had another big game for Crestline, scoring 17 points and grabbing 18 rebounds to go along with an assist and three steals. Also reaching double figures on the evening was Alandra Tesso, dropping in 11 points in the win while also grabbing seven rebounds and recording a block. Other stats from the Lady Bulldogs win were: Team- 17/55 from the interior, 3/12 from the perimeter, 6/11 at the free-throw line, 45 total rebounds (20O, 25D), 12 assists, 11 steals, 2 blocks and just 9 turnovers; Hannah Delong- 9 points, 2 rebounds, 1 steal; Kennedy Moore- 6 points, 4 rebounds, 1 assist, 1 steal; Lydia Tadda- 4 points, 6 rebounds, 6 assists, 4 steals, 1 block; Bri Briggs- 2 points, 3 rebounds, 1 steal; Daija Sewell- 3 rebounds, 3 assists; Destiny Hoskinson- 2 rebounds and Ivy Stewart- 1 assist. Team stats for the Mansfield Christian Lady Flames were: 7/34 from the inside, 3/18 from the outside, 4/8 at the stripe, 28 total rebounds (7O, 21D), 6 assists, 5 steals, 1 block and 15 turnovers. Crestline will now meet up with the top-ranked Buckeye Central Buckettes on Saturday, Feb. 24 to play for the sectional championship. These two teams will tip at approximately 6 p.m. at Shelby High School. LEXINGTON — On Tuesday, Wynford was a 42-31 winner over Colonel Crawford in a Division III girls basketball sectional semifinal at Lexington High School. No. 8 seed Wynford advanced to the sectional championship game against top-seeded Margaretta on Saturday, Feb. 24 at 1 p.m.
Having split the regular season matchups, Wynford won the finale between the two squads, and Tuesday’s game mattered most. The Lady Eagles’ season ends with a 4-19 overall record and they finished the Northern-10 Athletic Conference season at 3-13. 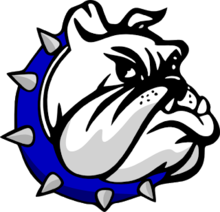 For Wynford, they advance to 6-17 on the year and finished their conference season at 3-13 as well. The winner of the Margaretta/Wynford contest will move on to district semifinal play against the winner of a March 1 game between No. 4 Edison and No.6 Crestview at Shelby High School. Northmor wraps its 2017-2018 campaign with an 8-15 overall record, while finishing their Knox-Morrow Athletic Conference season at 6-8. North Union improves to 16-7 after defeating the Lady Knights for the second time this season and will now play the No. 3 seed Newark Catholic Lady Green Wave for a sectional title on Saturday, Feb. 24 at 1 p.m. on the Green Wave’s home floor. From there, the North Union/Newark Catholic winner will play the winner of the No. 4 Utica Lady Redskins and the No. 6 Pleasant Lady Spartans in district semis on Tuesday, Feb. 27 at 7 p.m. with the site of the action still to be determined.